Enter Manufacturer's part number if known. For Government agencies, universities, corporations and healthcare facilities that need Direct-to-Card™ printing capability to routinely issue high volumes of IDs or personalized cards cost-effectively, the FARGO® DTC5500LMX is an affordable, eco-friendly solution that provides high quality card production and features wasteless lamination for an ultra-low cost-per-card. 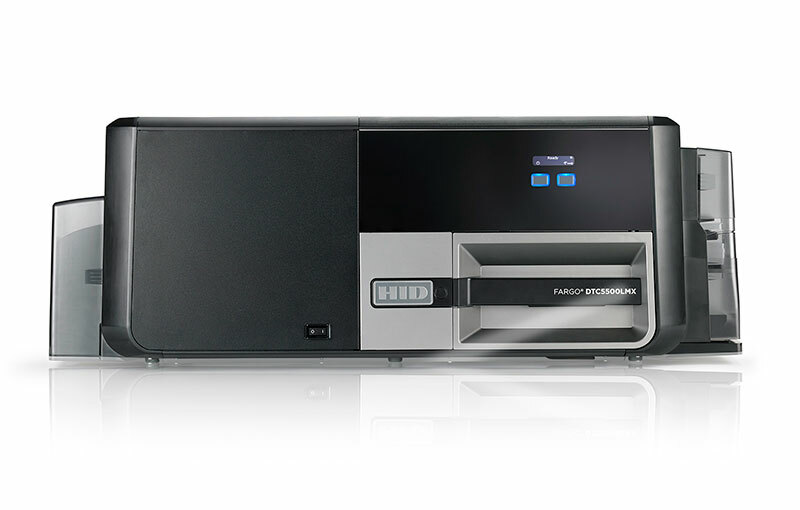 Designed to meet the needs of budget-conscious organizations, the DTC5500LMX includes standard dual card hoppers and support for high-capacity, full-color ribbon and laminate consumables – keeping costs at a minimum while maximizing productivity. For even greater savings, both dual-side printing and dual-side lamination are also standard. When you select the single material option, you’ll enjoy hands-free dual-side lamination but without the dual-side price. And leveraging HID Global’s innovative wasteless lamination technology, the DTC5500LMX can cut your high-volume laminate materials cost by up to 40%.